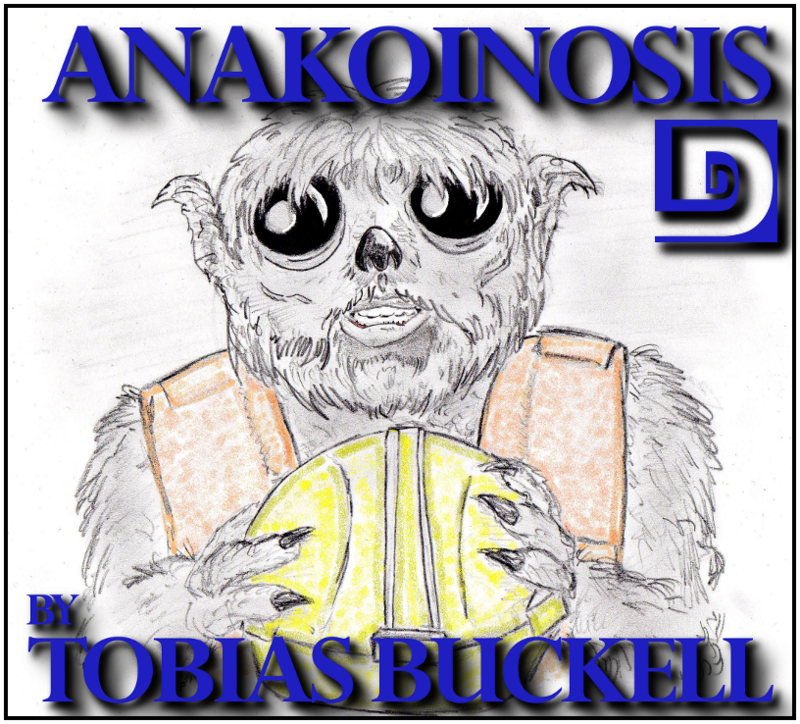 Big Anklevich and Rish Outfield are relieved to bring you the final entry in the Dunesteef’s Lost Episode Trilogy…”Anakoinosis” by Tobias Buckell. Humans have come to the home world of an alien species known as the whiffets. The whiffets are eager to learn all that humans have to teach them. They are helping the humans repair the damage to their ship, but are the humans helping the whiffets? Afterward, Rish instigates a difficult conversation about human nature, opportunism, and slavery. Are you a Bob or a red-haired guy? Special thanks Marshal Latham for producing today’s story, and to Dave Thompson, Graeme Dunlop, and Marshal Latham for lending their voices to today’s episode. Music was Running In Sadness and Blur Of Past by Adore and Dark Times and Long Note Three by Kevin MacLeod. This entry was posted on March 27, 2011 at 11:39 pm and is filed under Science Fiction, Short Story, Tobias Buckell. You can follow any responses to this entry through the RSS 2.0 feed. You can skip to the end and leave a response. Pinging is currently not allowed. Powerful story this week. Thank you. Kudos to the author. Just hearing the after-story discussion. Any comments about the exploitation of the animals happening today for their fur, their meat, or just as guinea pigs? What makes exploiting them any more acceptable than exploiting the Whippets? Oh, but need to add, a really amazing story !! Loved it. This really is an amazing story on many different levels. The whiffets were fascinating to me. Thier shared memories through anakoinosis as a way of learning to adapt and survive as a species was very intriguing. It sort of reminded me of “The Watching People” by Paul Berger (Escape Pod #103), but of course this had a much deeper current to it. The whole “price of slavery” issue snuck up on me, but when it hit, I was out for the count for appreciation of the story. When viewed on that level, it is a stellar case (no pun intended) of exploring human issues through the sci-fi medium. In comparing this story to Cat Rambo’s “Narrative of a Beast’s Life” (PodCastle #87), which uses fantasy creatures as a backdrop for slavery and also borrows from Frederick Douglass, I find “Anakoinosis” more effective because it is unique in its own right, and not just an extrapolation of American slavery in space. I really enjoyed Big’s voice for the whiffet. It is comical if taken out of its context, but within the story, it really captures the innocence and eagerness of the whiffet. I was glad to be a part of this episode. I witnessed the reliance on accessible manual labor first hand when I was doing some work in China. The factory I was doing the start-up for was finishing up its construction, mostly the outside work. I was amazed at some of the inefficient ways that the Chinese contractors did thier work. For example they were laying the concrete for an immense loading bay, and instead of stamping grooves into the concrete when it was wet, they let it dry and then went back with a grinder to make each individual groove, with two men on the machine, a couple men with hoses, and several “inspectors”. When I asked about it, I was told there were so many workers and they all needed something to do. It was the same thing with the landscaping. I was amazed at how much they could get done, but their methods were not what I was used to. In light of this story, I could easily see that mentality being used in an exploitive way. And I am sure it does. Great job on the episode art! Is that Liz’s work I see there? (sorry, I’d tell you right out, but I’m one of THOSE guys. My wife hates it, but I think it’s more fun to make people guess a few times before giving them the answer that I think might surprise them). A challenge, eh? Okay, with that kind of build up, I am going to go with an early pre-production sketch of an ewok. Wow, no. I guess I built it up too much. I’ll give you one more guess, then I’ll spill the beans. Okay, I’m going to throw in several guesses here, still probably all wrong. It is either you, or Rish, or your wife. You nailed it this time. The drawing was done by the lovely and talented Rish Outfield. We all knew he was multi-talented, but this is ridiculous, am I right? I’ve seen him do a lot of doodle-like drawings, but nothing of this quality before. I was pretty impressed when I saw it. Let’s see how thin these messages can get. A fantastic drawing. Now we expect more episode art from you. Extremely well done. The story reminded me of Le Guin’s classic “The Word for World is Forest” but not in a derivative manner. And the whiffet voice felt right. Dave, tell me about this story. As I’ve mentioned before, if it doesn’t have “Trek” or “Wars” in the title, it’s a Sci-Fi book I’ve not read. It’s been many years since I read it, but the similarities that immediately struck me were human’s exploiting a less technological race, the brutality toward natives, the physical smallness of the natives, and one human, who doesn’t really fit in with the others, trying to defend the aliens. The main differences are the humans in “Anakoinosis” are stranded but the humans in “The Word for World Is Forest” are colonizers, and the native cultures are quite different. The endings are also very different. Holy crap, guys. This was fantastic. Absolutely beautiful. It really moved me. I felt feelings. Could’ve been the drugs, though, I suppose. PS: Voice good. Cease auto-castigation (for now). As noted: from the opening strains, one is aware that there is something unusual about the narrator. As the story develops, the strangeness vanishes and NN’s “personality” (or the anakoinosed equivalent) emerges. Invented accents are excellent for aliens. I love them. Rish and Big are great at it. I want to emphasize that: you guys do really really really good work with imaginative voices for aliens. Just fantastic. Never ever ever ever ever ever do any brit or brit-derived accent again. I love you. Good night. We will never ever ever ever ever ever agree to that, I’m afraid. We love you too. Good night. Loved this story. We’ll read, too. Glad you got to do this one! A good story. I really enjoyed this; I had a hard time assessing where it was going, and it made me think while I was trying to parse the meaning. I like it when I’ve got some meat to chew on. Just wanted to heap some more praise on this one; loved Big and Rish’s readings and Marshal’s production, but especially loved the discussion afterward. Rish, you made me want to spend every free minute I’ve got writing as much as I possibly can. Thanks for that. I took great offence at the choice between Bob (good) and a red-haired guy (evil). I just wanted to say that it really irritates me, people who say that red-haired people don’t have souls. Because we do, we do have souls, alright? And lately I’ve been being called a ginger. A fat ginger, by everybody at school. And it really hurts my feelings. I act like it doesn’t, but it does, really bad. Gingers have souls! I go to church, I’m a Christian. You don’t know me. You’re not God. Huh! Bwoowooo! You’re NOT GOD! You don’t know who has a soul and who doesn’t. I’m getting sick and tired of people making fun of red-haired people. I’m proud I have freckles. It’s who I am. Ginger and proud of it. Fantastic story, superbly executed, and I really liked Tobias’s thoughtful note at the end. Also, thank you for the info on Starship Sofa. I had a story accepted by them in Oct of 2009. 6 months later it hadn’t appeared and I’d heard nothing beyond their acceptance letter, so I sent an email to ask whether they still wanted it. An editor responded with, “We’ll ask Tony” and then nothing. I let it go. Then they won a Hugo. Yay!! At the year+ mark, I emailed them again. Just a friendly request for status update. This time they didn’t bother to respond at all. I felt disappointed and jerked around. I figured that, being a Hugo winning podcast, they probably had no intention of using my little story, but they’d keep it in the vaults indefinitely just in case they need some filler during a slow week at some unspecified point in years to come. I mentioned my frustration to another editor during an unrelated conversation, and he ended up taking the story off my hands. I emailed Starship Sofa, politely letting them know that I was pulling the story. Again, they didn’t even bother to answer. The whole experience left a bad taste in my mouth. Anybody can lose data, but making no attempt to contact the authors affected or to respond to them when they contact you – that’s just mean. I feel a little better knowing that they’re not just rude to little ‘ol me, but to Tobias Buckell as well. If anyone out there has a story at SSS that seems to have fallen into a black hole, it probably has. Move on. SSS is… slow. And uncommunicative. I thought it was funny when I attended the SSS Narators’ Workshop, that even Ray Seizmore, one of the presenters for the workshop, and a frequent narator for SSS, gave Tony a hard time about a reading he had done that hadn’t yet been played after a year or so. I did a narration for them about a year ago as well. The story was upwards of 30 pages and I worked really really hard on it. It still has yet to grace the air waves. I am not pleased. First time commenter! I started listening back in August 2010 and I’ve been hooked ever since. I don’t think there’s been an episode I’ve disliked (I really really like most of them) and this one has become my new favorite. I’m pretty sure people were staring as I walked down the street with my iPod laughing at the whiffet’s exciment about more and more work, but I don’t care. Excellent writing and concept, excellent voices–I like Big’s interpretation of how the whiffet would sound. I was both moved and entertained. Keep up the good work, Rish & Big.